Bollywood actress Shilpa Shetty and filmmaker Sajid Khan with choreographer Terence Lewis, during their celebration of new year in Mumbai. Bollywood actor Shilpa Shetty on the set of dance reality show in Mumbai. 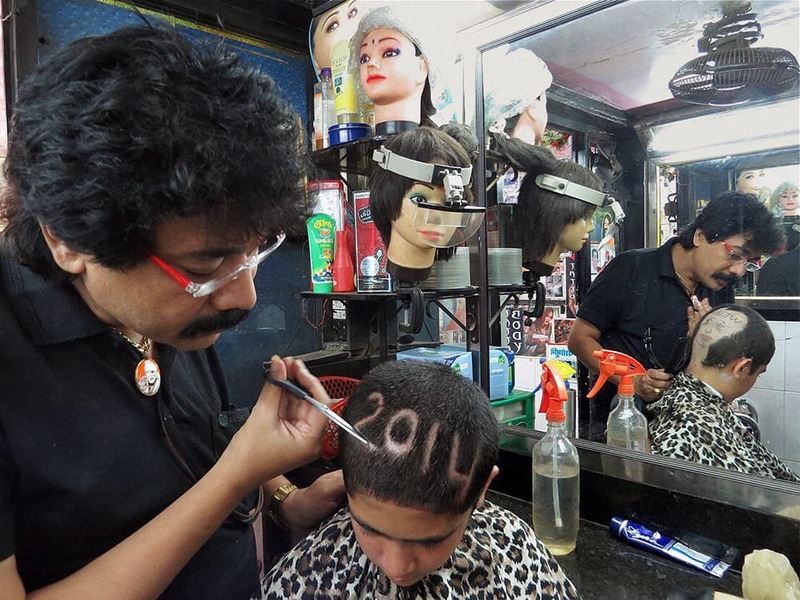 A barber welcoming new year with an innovative hair cutting in Mumbai. Google Thanos and click on his infinity stone studded gauntlet, here's what will happen!